PlayStation UK has tweeted out an 80s-inspired advert for the PlayStation 4 Pro to promote its "super-charged" upcoming console. It touts the hardware's "super compact mega processor, revolutionary cord-free player paddle joysticks, and super fresh graphics." "To be honest, I wasn't sold on the hardware but then I saw how excited the dude in the advert was and I am now on board. I mean, he's wearing an outfit made of denim, rocking sick red Reebok pumps, and has a glorious mullett, which means he's the epitome of cool. And if he thinks it's cool then it must be cool." PS4 Pro launches on November 10th and will cost $399/£349/A$560. The more powerful console is aimed at the higher-end gamers. As previously stressed by Sony, it is not an entirely new architecture and thus not a new generation of PlayStation hardware. Among the upgrades in the PS4 Pro are a 1TB hard drive, doubled GPU power, and technology adapted from AMD Polaris graphical architecture. All this means the PS4 Pro can reach resolutions that Sony says were "not thought possible on consoles" in 2016. 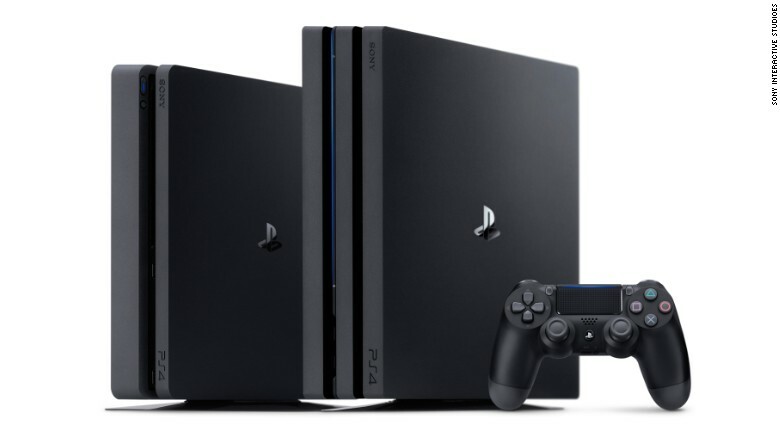 The big new features PS4 Pro introduces is 4K and HDR, which PlayStation exec Andrew House described as "natural" paths of progression for visual fidelity. Lead architect Mark Cerny added that these "take the PS4 experience to extraordinary new levels."